This is a super fun and interactive slide show. 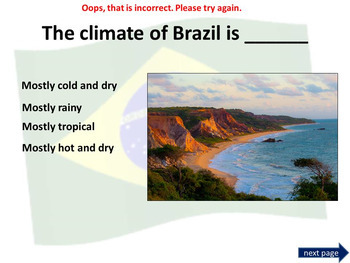 PPT animated presentation to use it in the classroom with any type of interactive board. Use F5 for full screen and clicks or keyboard arrows to run presentation. 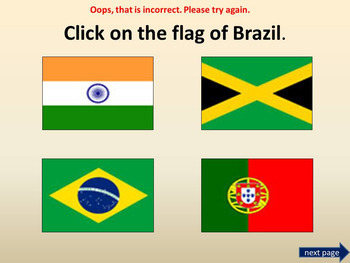 - Click on the flag of Brazil. 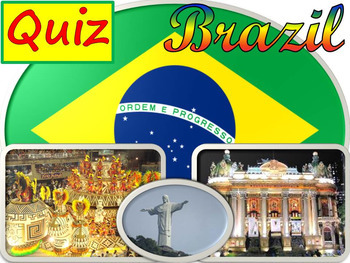 - What is the capital of Brazil? 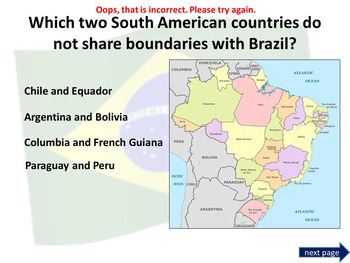 - Which two South American countries do not share boundaries with Brazil? - What used to be the currency of Brazil? - 8 PowerPoint Presentation- SOLAR SYSTEM- The SUN- 7 WONDERS- DESERTS-EXPLORERS..